Headache occurs due to fatigue and stress. We use pain killers in this situation. There are many side effects of it. 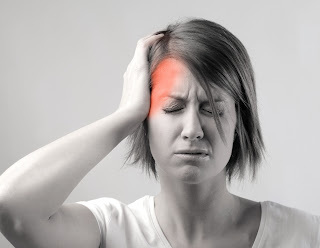 However, we can use some home remedies in headache. Garlic Juice: Boil 7-8 garlic buds in water and drink it. It reduces stress. It also controls headache. Cumin Water: Drink mixture of one teaspoon cumin water in one glass water. It improves blood circulation and reduces headache. Ginger Water: Boil one ginger piece in one glass water. Drink it when it becomes lukewarm. Cinnamon Powder: Prepare paste of one teaspoon cinnamon powder in little water. Apply it on forehead. Wash it after 20 minutes. It is beneficial in headache. Coconut Oil: Do massage with coconut oil for 10 minutes. It relaxes the muscles and gives relief in headache. Ice Pack: Clean your head with ice pack. It relaxes the muscles and gives relief in headache. Lemonade: Drink mixture of one lime in one glass water. It removes stress and controls headache. Sandalwood: Prepare paste of sandalwood powder. Apply it on face. Wash your head after 30 minutes. Almond Oil: Massage your head with almond oil for 15 minutes. It freshen the food and reduces headache. Eucalyptus Oil: Do massage with eucalyptus oil on head. It relaxes the muscles and removes headache.